The Ledison PL G24 Light bulb offers unbeatable combination of efficiency, luminous flux (1000lm) and high colour rendering CRI>80. The PL G24 plug rotates 360 degrees and comes with 2pin or 4pin. LEDISON PL provides beautiful light at low energy cost making it a capable replacement for its fluorescent counterparts. The high performance aluminium heatsink removes more heat from the LEDs, increasing the performance and life time. 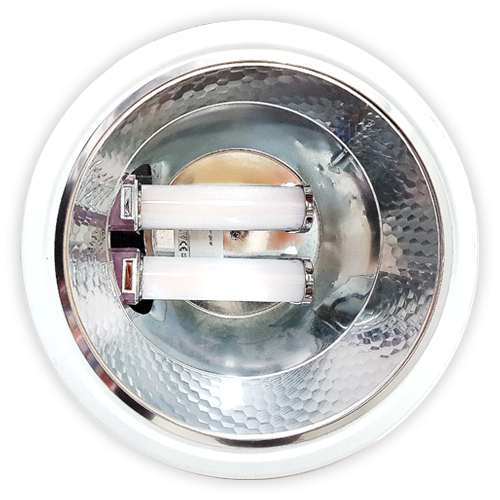 The PL bulbs are assembled with SM2835 led chips which are mounted on aluminium printed circuit board. The pictures illustrate an old twin fluorescent downlighters where we installed 2 LED PLG24 lamps 8watt. The old CFL lamp was 26w, the energy savings have reach 75%. 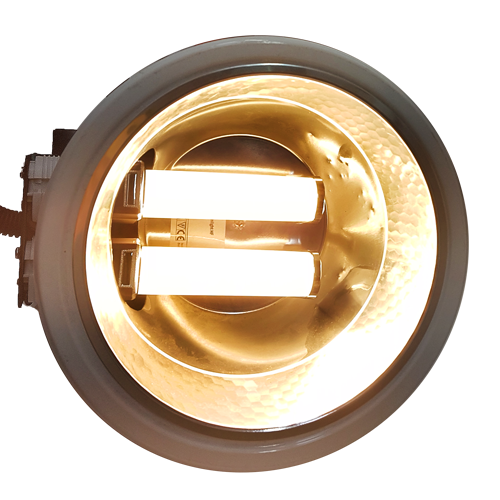 The reflector of the old fitting will still add an extra 5% on the light output. You do not have to throw away your traditional lights, Voltacon will offer you with the right LED solution to re-use in a modern and economical way. Emergency Packs: Each PL lamp (6W, 8W & 10W) can also be used with an emergency power pack. It will provide autonomy to LED PL bulb up to 4 hours at a reduced power (30%) when the grid fails, ensuring the minimum legal requirements for emergency lighting are met.